Paediatrics is the medical specialism that studies children and their illnesses, but its content matter is much greater than the curing of illnesses in children, as paediatrics studies both healthy and sick children. This specialism encompasses all stages from birth to adolescence. Several stages can be distinguished: newborn, breastfeeding, toddler, school years and adolescence. 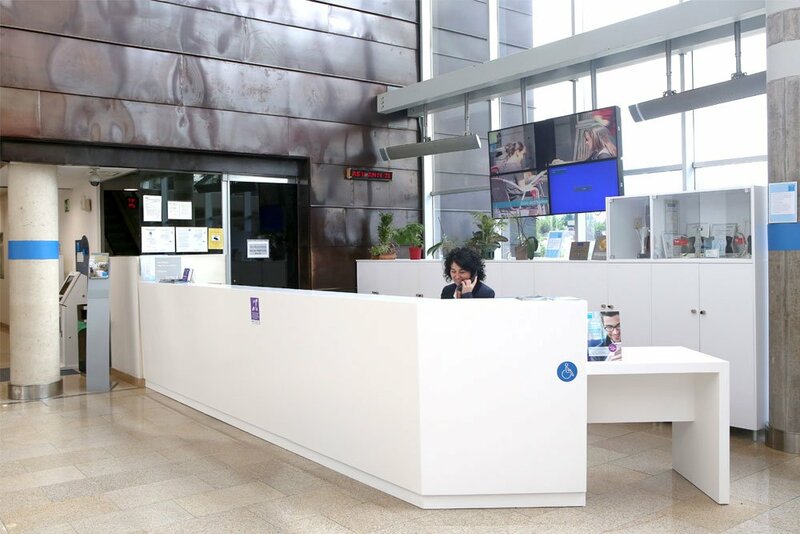 The mission of the Paediatrics department at the Hospital La Moraleja is to provide comprehensive care to children in the different stages of their lives, in aspects of health control and promotion as well as in curative aspects in their full scope and severity. 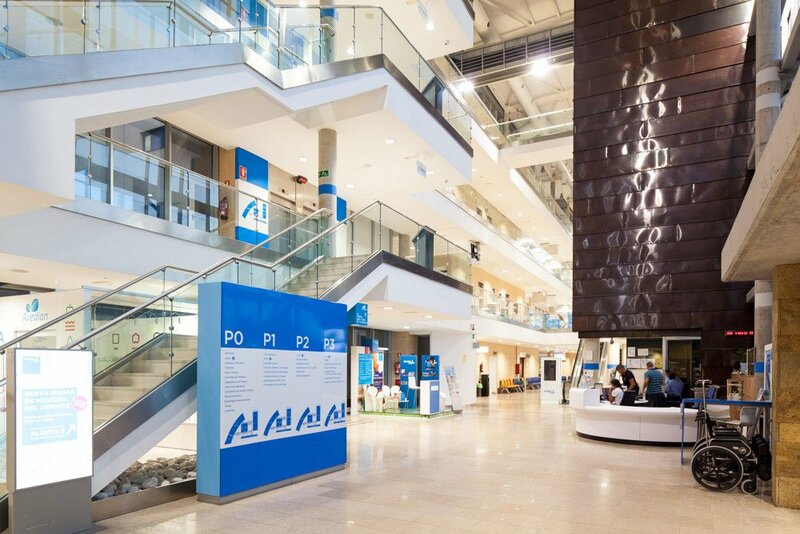 All of this is part of a multidisciplinary and integrated approach, applying the most modern diagnosis and clinical action procedures and standards, seeking excellence with care focused on the patient. Vision: To make the Paediatrics department of the HLM a leader and benchmark in this field in private medicine in Madrid, the philosophy of multidisciplinary work as opposed to the obsolete individual approach becomes a reality. 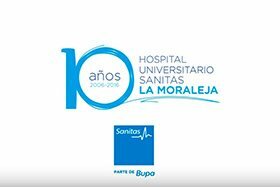 As part of this, aside from our tradition of teamwork, we consider it a privilege to have the support of a company such as Sanitas, with a long-standing tradition of work always at the service of the patient. ICU open 24 hours a day to relatives. Specialised in the management of children with severe neonatal conditions (extreme prematurity, congenital cardiac malformations, congenital pulmonary malformations, pulmonary hypertension, digestive malformation surgery, etc.) and paediatric conditions (oncology, general surgery post-operative care, neurosurgery, maxillofacial or trauma surgery, polytraumatised patients, etc.). It has the most advanced specific techniques. Labour care with neonatologists available 24 hours a day. 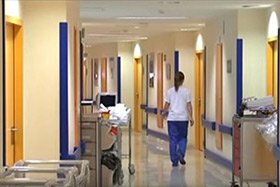 It has staff highly specialised in the management of children requiring intensive care present in the unit 24 hours a day: intensive care nurses and paediatric and neonatal intensivist doctor. Hypothermia Unit for prevention of hypoxic brain damage. Specialist staff with experience in managing babies born extremely premature once they have left the Intensive Care Unit. Kangaroo technique to promote mother-baby contact. Ophthalmological screening of retinopathy of prematurity. Personalised CPR course for parents of premature children before discharge. Care focused on development with particular attention to the family environment. Specialist paediatrician on site 24 hours a day and specialist nursing staff. Management of all paediatric diseases requiring hospital admission, in direct contact with the necessary medical and surgical sub-specialisms for the adequate treatment of the conditions. Electronic medication preion in direct link with the Pharmacy department. Diagnosis and treatment of endocrine diseases in childhood: metabolism disorders, endocrine disorders due to hypophysis, gonadal, thyroid or adrenal pathology, and phospho-calcium metabolism disorders due to parathyroid disease. Growth Unit Small Size: growth hormone ment therapy. Monitoring of asthma, bronchitis, chronic wheezing, chronic respiratory diseases, bronchopulmonary dysplasia in premature babies, congenital malformations. Apnoea Unit Follow-up of patients with home monitoring. Airway Unit Fibre-optic bronchoscopy and bronchoalveolar lavage studies. Postpartum management of pyelic ectasias, diagnosis of nephropathies, study and treatment of arterial hypertension, repeated urinary infections, al consequences of surgical problems. Completion of Urodynamic Studies (Paediatric Urology Unit, Dr Rodriguez Alarcón). Management of headaches, epilepsy, delayed psychomotor development, neurological monitoring of children born extremely premature, neuromuscular disorders, movement disorders. Genetics advice in syndromic disorders (Genetics Unit, Dr Luis Izquierdo): genetic study of neurological diseases. 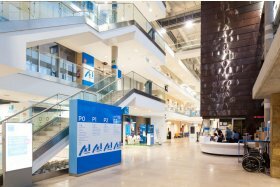 Study of malnourished patients, cystic fibrosis of the pancreas, coeliac disease, chronic diarrhoea, anorexia non-nervosa, gastroesophageal reflux, chronic inflammatory bowel disease, liver pathology. Support in the nutrition of patients with chronic diseases. 24-hour pH metry, upper and lower digestive tract endoscopy. Continuous enteral feeding in hospital and at home. Multidisciplinary newborn care, specialising in the monitoring of babies born extremely premature. Specialist Monitoring Unit for twins. Specialist Monitoring Unit for premature or late newborns. Routine vaccination: according to the vaccination schedule of the Community of Madrid. Review and healing of surgical wounds, burns. High specialisation in congenital cardiopathies, for perinatal diagnosis and subsequent management, including the need for surgery and its completion. Transthoracic Doppler colour 2D echocardiogram, foetal Doppler echocardiogram, transoesophageal echocardiogram, electrophysiological arrhythmia study, diagnostic and interventional cardiac catheterisation, treadmill stress test, ECG and blood pressure Holter, multi-slice CT, electrophysiology laboratory. Responsible for the management of children with food allergies, drugs, environmental agents (pollen, animal epithelia, dust mites, fungi), allergic contact dermatitis, atopies or immunity alterations. Controlled challenge tests with food and medication. Diagnosis and treatment of ENT pathologies, such as deafness, chronic otitis, sinusitis, tonsillar adenoid hypertrophy, recurrent infections. Study and treatment of roncopathy and sleep apnoea. Angiomas and Vascular Malformations Unit. 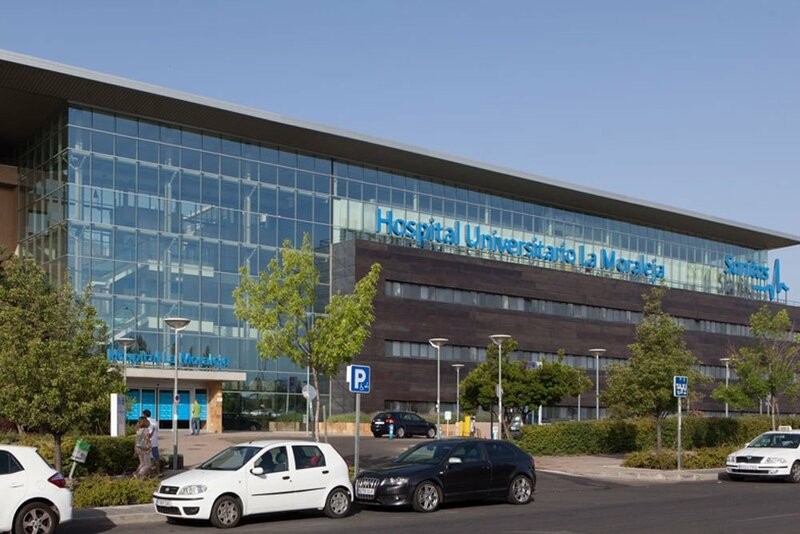 The Paediatrics department has had resident medical intern training recognised by the Ministry since 2011 and also welcomes undergraduate paediatrics students from the Universidad Francisco de Vitoria and students from Grand Valley State University (Michigan) on a regular basis. Active participation in meetings, days and national and international conferences in paediatrics. Noteworthy publications in books and journals on the specialism. 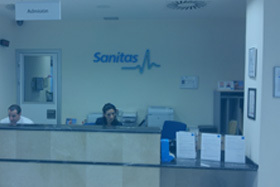 Within the quality and patient safety improvement project, undertaken in the hospital to avoid pain for all patients cared for, named "Painless Hospital", the Paediatrics department has implemented specific actions successfully to develop this programme in the Inpatients, Intensive Care and Paediatric A&E units in collaboration with the specialist nursing services of each unit. 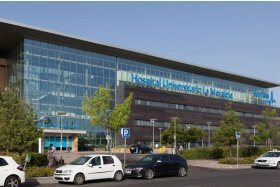 The paediatrics department actively collaborates with the Fundación Adelias in the diagnosis and treatment of particularly underprivileged patients in the Moroccan region of Nador by means of two trips to the Hospital Hassani each year to cases to be treated later in the Hospital Universitario La Moraleja. Additionally, it collaborates in the training and teaching of paediatrics and neonatology care staff in the Moroccan hospital. The Neonatology/Paediatric Intensive Care Unit was a finalist in the 10th edition of the national Best In Class (BIC) awards in 2015.